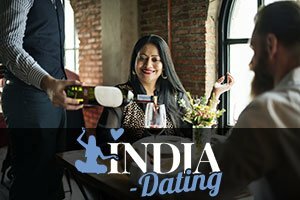 Top Dating Sites India - Dating In India: Are We Too Busy For Love? Are we too busy for love? In this day and age in India, everything seems to be more important than the core values our parents tried to teach us. Our careers, financial status, and other superficial elements that have become insanely popular over the last several decades have made us into zombies chasing unattainable goals that can never bring true happiness. Only when faced with real-life problems, such as a serious illness or inability to procreate do we realize that only true love can bring us peace. But what about all the other times when we’re not faced with particularly challenging situations? Why are so many other things more important than the person who’s supposed to be the closest to us? Instant gratification, which has become the hallmark of the last 10 years or so, has several rather serious consequences, one of those being taking things that we have for granted and always wanting more (although we don’t really need it). There is nothing wrong with setting high standards, but those who aren’t happy with what they have can never find true happiness. That’s why we all need to pause and think very carefully how much we really value our life partners, how much time we spend with them, and how much we’re truly showing them the extent of our appreciation that they’re in our lives. Obviously most of us need to work, want to have a social life and if possible some time for ourselves, which is all challenging enough in 2016. However, that doesn’t mean that our significant other shouldn’t be high up on our list of priorities. Truth be told, no matter how busy we are, if we really want to do something, like take that trip to Paris, take a new yoga class or learn a new cooking trick, we’ll somehow find the time to do it. It’s just a matter of will. This is absolutely the approach we need to be taking when it comes to our relationships and marriages. Although we are often too tired to have a date night with our partner, making excuses is not the answer. If we know some activities will tire us out during the day, we need to avoid them or completely exclude them to make room for date night. Clearly, all people seem to be too busy for love, those already tied down and those who are still searching for a soulmate. Online dating offers a seemingly unlimited pool of great candidates to date and fall in love with, and it doesn’t take nearly as much time as traditional dating. On the other hand, it absolutely requires effort as great things hardly ever happen overnight. But being persistent and confident in one’s goal is a way to go when it comes to finding a partner and making a relationship work.